3:00 PM Sunday, September 11, 2016: Trio Cordialis has appeared in public since 2014. The founder, Ingrid Tang is the co-concertmaster of the Bravura Philharmonic Orchestra, and has served in many other orchestras. She is the Strings Chairperson of NJMTA and received the Teacher of the Year award in 2014. 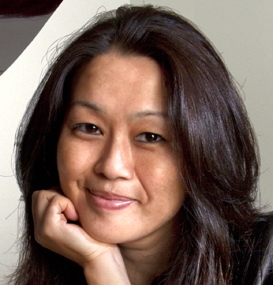 The cellist, Dr. Mikyung Lee has won major competitions resulting in performances with prominent Orchestras. “Strings” magazine (May/June 1993) praised her highly in the Weill Recital Hall performance by Artists International. The pianist, Dr. Bing Bing Chang has extensively performed as soloist, orchestral keyboardist, chamber musician in the USA, Europe and Asia. Chang has taught at the Music Department of Rutgers University and Westminster Conservatory of Rider University and frequently travels to give lectures and judge national and international competitions, auditions and festivals. The program will feature works of Schubert, Arensky and Tang. 3:00 PM Sunday, October 9, 2016: Dr. Kairy Koshoeva has garnered awards from around the globe including the top prize at the International Piano Competition in Vicenza, Italy, and the N. Rubinstein Competition in Paris, France. She was the 2004 Gold Medal winner of the Rachmaninoff Award in Moscow, Russia and received first prize at Chautauqua Music Festival concerto competition in New York. In 2003 she was named Honored Artist of her native country Kyrgyzstan. She has performed in Israel, France, Germany, Russia, Turkey, Switzerland, and the United States. The program will feature works of Bach, Mozart and Rachmaninov. 3:00 PM Sunday, November 6, 2016: Beatrice Long has performed as a soloist with Baltimore Symphony, Orquesta Sinfonia Estato de Mexico, National Symphony of Taiwan, Taipei Symphony Orchestra, Jura Symphony Orchestra (France) and Ensemble du Monde among others. A medalist in Cleveland International Competition, she received critical acclaim at recitals around the world. As a duo pianist in the Long Duo with her sister Christina Long, she has performed at Alice Tully Hall in Lincoln Center, Carnegie Hall, and other concert halls abroad. She is a recording artist with Naxos and Dorian sono Luminus. The program will feature works of Scarlatti, Chopin and Prokofiev. 3:00 PM Sunday, January 15, 2017: Constance Kaita. 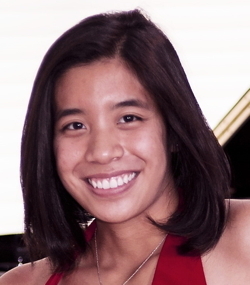 21-year-old Young Steinway Artist Constance Kaita made her orchestral debut at age 9 with the Westfield Symphony (now the New Jersey Festival Orchestra) and has appeared as a soloist with the Bravura Philharmonic Orchestra. She has performed in prestigious venues including Alice Tully Hall in Lincoln Center, Weill Recital Hall of Carnegie Hall, the Forbidden City Concert Hall in Beijing, the Shanghai Oriental Arts Center, and the United Nations Headquarters in New York. Constance has won numerous awards, including first prize three times in the Steinway Scholarship Competition. The program will include works by Bach, Schubert, and Brahms. 3:00 PM Sunday, February 19, 2017: Yevgeny Morozov. 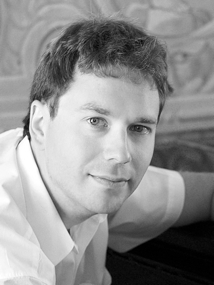 A prize winner in many prestigious international competitions in both the U.S. and Europe, Yevgeny Morozov has been described by the press as a “talented virtuoso concert pianist with the transcendental technique and fine musicianship”. He has given solo and chamber music recitals as well as performances with orchestras around the world performing in such world-renowned venues as New York’s Carnegie Hall, Yale’s Sprague Memorial Hall, Beatrice Friedman Symphony Center in Florida, National Concert Hall in Dublin, Slovak Philharmonic Hall in Bratislava, Fatra Palace of Arts in Žilina (Slovakia), National Opera of Ukraine in Kiev. The program will feature works by Bach, Beethoven, Schubert and Chopin. 3:00 PM Sunday, March 19, 2017 (NOTE CHANGE IN DATE): Luiz Simas born in Rio de Janeiro, Brazil and living in New York since 1989, combines his talents as a composer, singer and pianist. His style of composition and performance is influenced by classical, jazz and bossa nova, along with Brazilian popular, traditional and modern music. Mr. Simas has given sold out performances in several venues such as the Weill Recital Hall of Carnegie Hall and in jazz clubs such as Birdland in New York City, and has been performing in Europe every year. 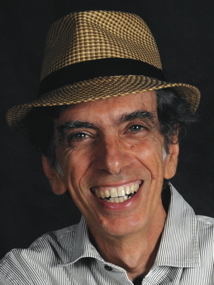 His program will include pieces by Ernesto Nazareth, Jacob Bittencourt, Pixinguinha and Jobim plus some of his original piano compositions and improvisations in various Brazilian styles.